Compatible Camera: Canon EOS Cameras (E-TTL II Autoflash) Support for the cameras that have PC sync socket. 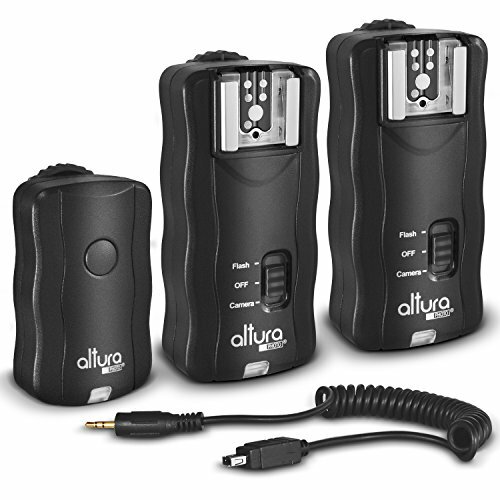 The Wireless Flash Trigger and Dual Receiver Kit from Altura Photo is a simple solution to wirelessly triggering two flashes up to 100' away. The simplicity and reliability makes this perfect for photographers of all levels. By taking your flash off-camera, you can achieve greater control over the direction and quality of your light for better portraits, group shots, event photography, and more. 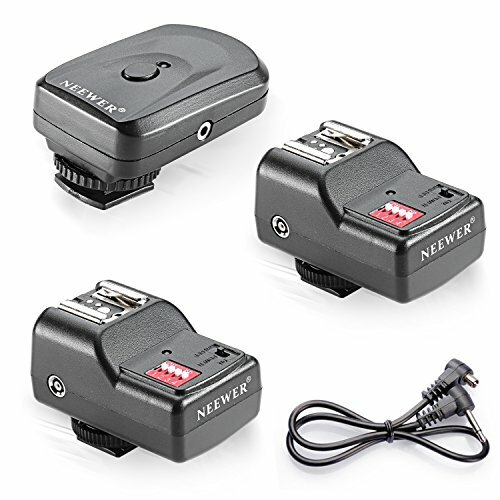 - Multi-purpose trigger set allows you to trigger both your flash and camera. 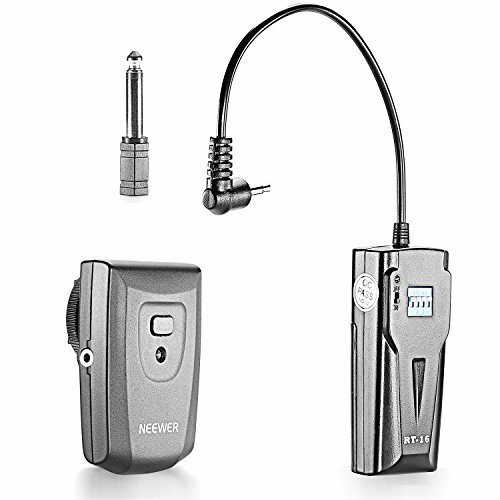 - Receiver features a " tripod thread for connecting your flash to a light stand or any device with a " mounting screw. - First, set the transmitter and receiver to the same channel. Next, attach the transmitter to the camera's hot shoe, and the receiver to bottom of your flash. Once you have the receiver and transmitter secured, set the switch on the receiver to "FLASH," and your flash to manual. - Attach the receiver to the camera using the supplied camera connection cable. Next, set the receiver to "CAMERA." Push the button half-way to focus, and completely to trigger the shutter. 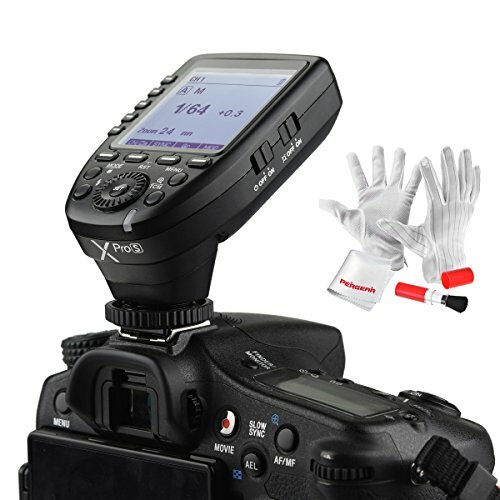 Kit Includes: Wireless Flash Trigger Kit for Canon (1 Transmitter, 2 Receivers). 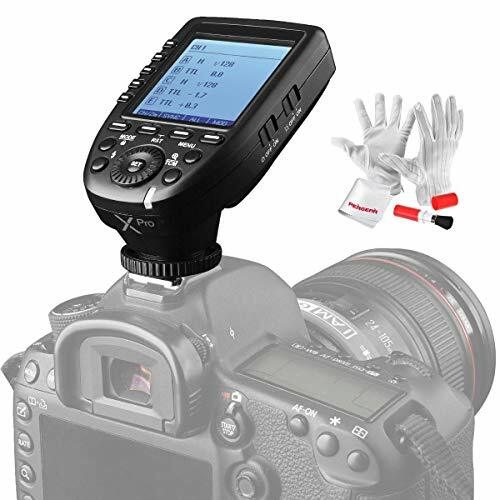 Multi-purpose trigger set allows you to wirelessly trigger your camera or flash. Compatible with all Canon cameras with a standard hot-shoe. If you have a Sony camera, we sincerely recommend this flash trigger. 1/8000s High-Speed Sync, Let you feel free to catch every moment.Also own 11 Customizable Functions ,Extra-large LCD panel, 5 group buttons and 4 function buttons offer convenient manipulation,Very suitable for novice learning. Godox XPro-S has a total of 16 Groups and 32 Channels,Easy wireless control and triggering.Full Graphic Display of 5 Groups simultaneously .Add 01 to 99 Wireless ID settings,Which Can Only Achieve Triggring When the channels and Wireless IDs of the Master and Slave Unit are Set to the Same,they can effectively avoid signal interference. 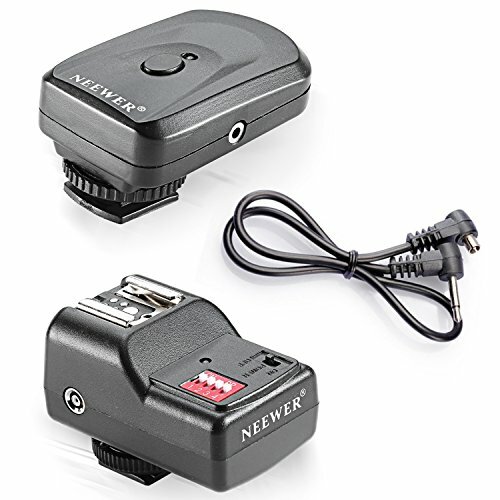 Features: This wireless trigger is control discreteness for camera to trigger hot shoe flashgun synchronously. Easy installation, low power consumption No any damage to camera. High-speed and synchronous for 1/200 second. Max. working distance: 30M (open area, without interference). 16 channels to avoid interference. The receiver has an on/off switch, and an LED to indicate triggering. New design: Channel Selector outside the transmitter and the receiver. Specifications: Wireless Flash Trigger. 16 channels selectable. Power Input of Transmitter: 23A 12V battery (included). Power Input of Receiver: 2 AAA batteries. Long lifetime of trigger battery, one year or over 20,000 continuously triggers. Plug size of receiver: 3.5mm. 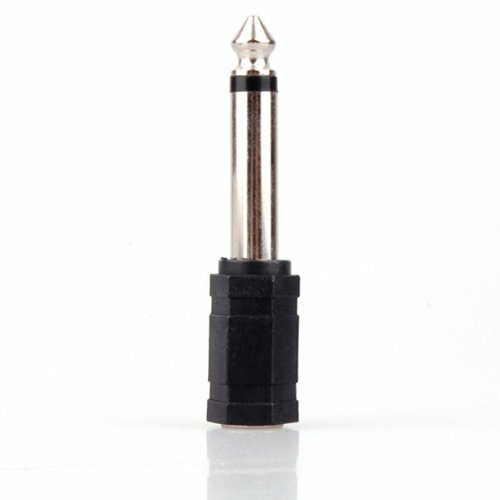 Adapter size for receiver plug: 3.5mm --> 6.35mm. PC sync cable included. Radio working frequency: 433MHz. How to use: Make sure the channel selector of both transmitter and receiver at same position. Insert the receiver's trigger output plug into your flash's jack. Press the test button on your transmitter. The studio light should now flash. Insert the transmitter's hot shoe socket into your camera's hot shoe jack (if your camera does not have a hot shoe use a PC sync cord and insert into the socket). You should now be ready to start shooting (you can use the 3.5mm sync cable for cameras without hotshoe or hotshoe is engaged). Package Contents: 1x Trigger. 1x Receiver. - Studio flashes featuring either a mini (3.5mm) or " phono input. Kit includes: Wireless Flash Trigger Kit (1 Transmitter, 2 Receivers). Compatible Camera: Fuji series cameras (TTL autoflash)Support for the cameras that have PC sync socket. 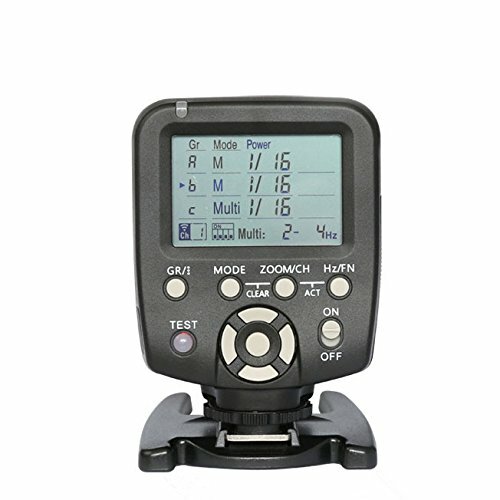 The remote trigger for studio flashes and outdoor flash is used as the controller of synchronous trigger studio flash of cameras. It consists of a signal sender and a receiver trigger and works by means of the frequency modulation wireless remote control. The signal transmitter adopts the advanced circuit and components, and can transmit the coded FM wireless signa. The circuit of the transmitter has the function of standby and hibernation, thus it has low power consumption; the products can work under the standby mode for more than one year with only one battery; continuously trigger for thirty thousand times. Receiver trigger adopts dry battery for power supply, which is safe, energy-saving, and convenient. The product adopts micro-computer for controlling the decoding, Which has superior anti-interference capability; sensitive reaction speed, the highest synchronous speed can reach 1/250 sec. The trigger current is only 0.01MA, which will definitely cause no damage to the flash contact of the camera. The transmitter is applicable to the traditional or digital camera with hot shoe or PC controlling interface. Note: PT-16/PT-16NE use the whole new system,So it can not work with any other flash trigger. The Pocket Wizard Plus 2 PACK is for both entry level wireless shooters and professionals. Auto-sensing Transceiver technology and large, backlit channel dial make the Plus X the simplest Pocket Wizard ever. It is compatible with every Pocket Wizard FCC-version radio marketed in the USA and virtually every popular flash and camera system. 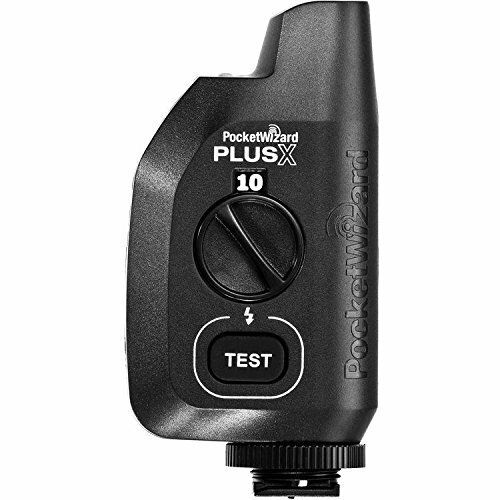 And the Plus X also works with all Pocket Wizard-enabled studio flash units including select Profit, Dynamite, Norman and Photogenic flashes as well as Sonic light meters. Only products shipped from and sold by authorized resellers such as Amazon.com can ensure that you are receiving product that has proper FCC communication and is covered by the US Warranty. Includes 1 set of cables only. The receiver has an on/off switch, and an LED to indicate triggering. Works with ANY Strobe Flash! 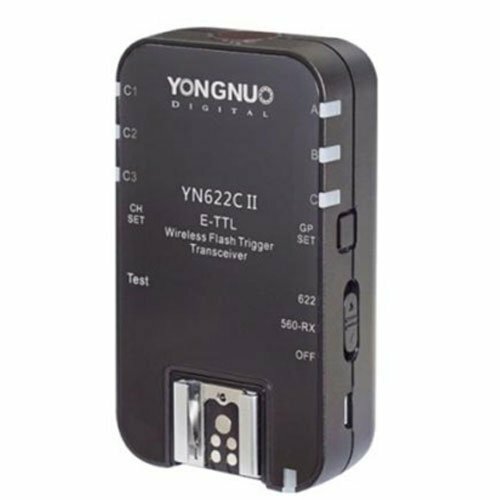 The new upgrade version YN622C II can set to "622" or "560-RX" communication mode through the power switch, supports receiving the trigger signal of the YN560-TX/RF605(603 mode)/RF603(II) series products, with multi aspects improved, equipped with quick lock design and supports USB firmware upgrade. 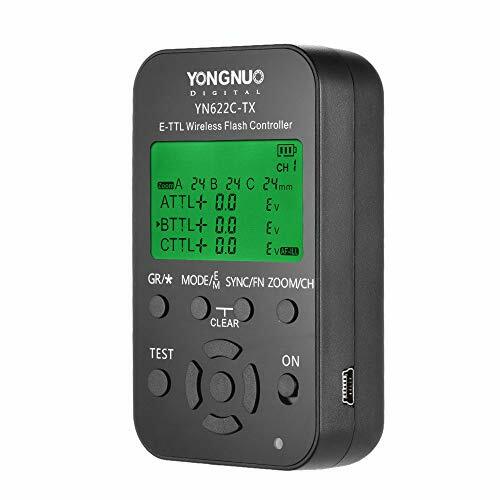 N622C II E-TTL wireless flash trigger is a high performance master and slave equipment of multiple flashes photography, through digital FSK 2.4GHz radio wireless transmission, and different photographic effects can be realized through setting your flash at 360 degrees. It design of transceiver, the distance of remote control reaches 100M, supporting 7 wireless channels and A/B/C three groups. 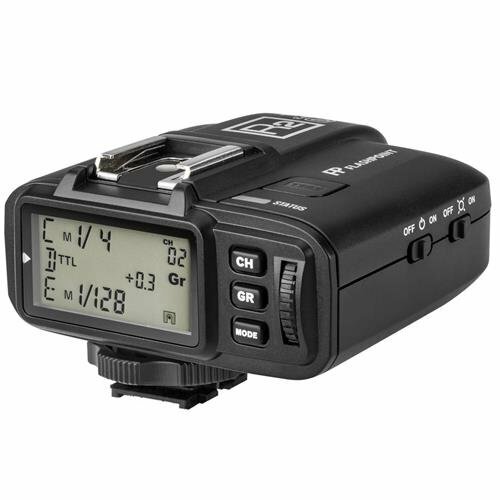 Remotely change the modes and parameters of the flash quickly when using the Canon EOS series DSLR cameras which supports external flash function , such as TTL ratio or manually set each group of flash output. 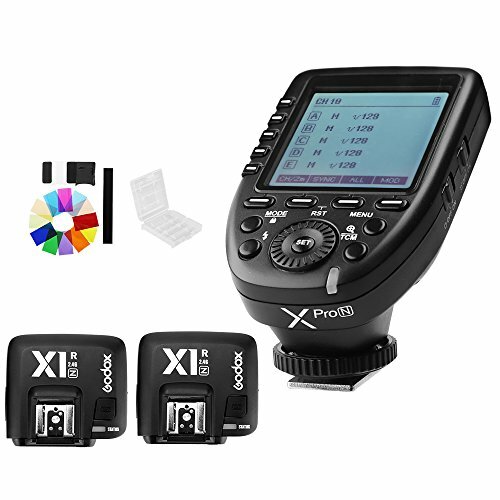 Support high-speed sync, the max sync speed is 1/8000s*, Support E-TTL, Manual and Multi flash modes. Support E-TTL flash installing on the top of transmitter. 430EX/550EX/580EX or other parts of the flash is not supported remote control via the camera menu, need to manually set the flash modes(parameters). The quick lock design, you can fasten the hot shoe of this flash trigger with your camera or flash. It supports 622C communication mode ( YN-622C and YN-622C-TX) and ( RF-605C, RF-603 II and YN560-TX ). 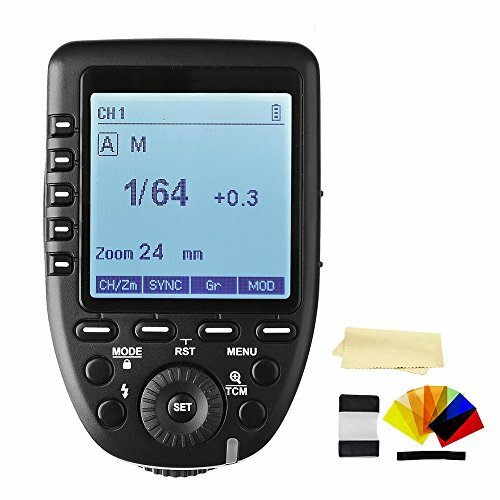 TTL mode, you can use YN-622C II, YN-622C, Canon version together, and when you use it with YN-622C-TX, it can be used as receiver. Manual mode,you can use YN-560TX, RF-603 II, RF-605C as transmitter, and use YN-622C II as receiver. It supports USB Firmware upgraded. Firmware can be updated via USB(Micro USB), Built-in AF asist beam emitter, transmission range is 100m. Support wireless shutter release function, the remote distance can reach 100M. 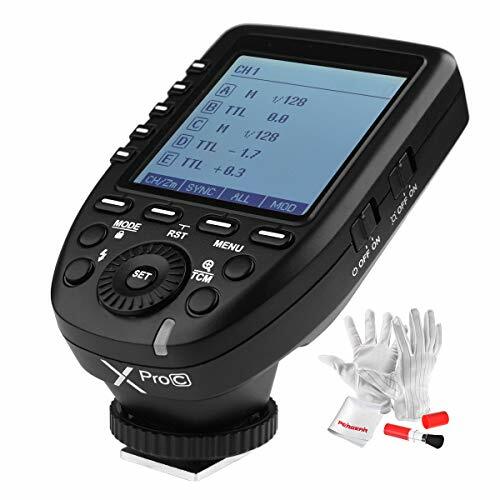 Support for mixed use of E-TTL(II) mode, manual mode, or super sync flash mode of group A/B/C flash. 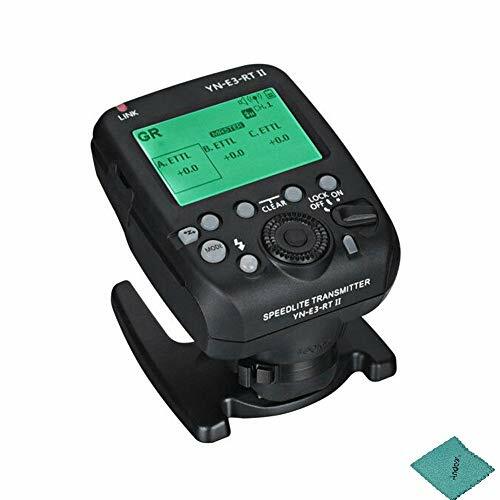 Support the basic flash trigger(max sync speed is 1/250s) of standard hot shoe(non for Nikon Body). Support for FEC, FEB, FEL, modeling flash, flash zooming(auto, manual), etc. LCD display to control the menu, more convenient for you to operate. The focal length of the A/B/C groups of flash can be adjusted separately. The flash sync signal can be input through the PC port. The exposure compensation or flash output of A/B/C three groups of flashes can be adjusted separately. Shutter sync: first curtain sync, second curtain sync and highspeed sync, the highest sync speed is 1/8000s. Super sync time delay adjustment for higher x-sync speed than the camera allows. This flash trigger applies to CANON NIKON SONY FUJI camera. It can also directly control flashes which have built-in jinbei wireless system(e.g. SPARKIII-400 DM-6 DPEII-600 DPX-600 series, etc.). 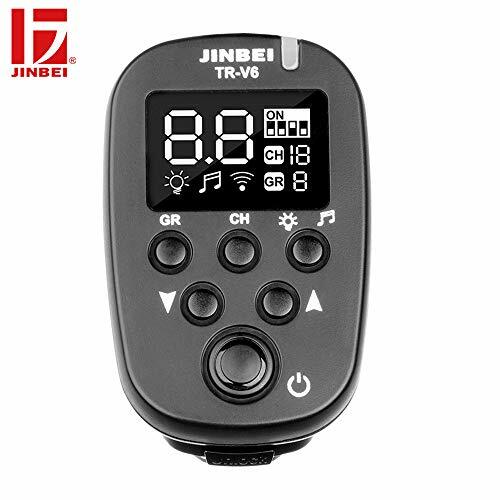 As to the flashes which don't have a jinbei wireless system a TR-A9 transmitter or TR-V6 receiver can be used in combination to achieve power adjustment amd triggering. Design for studio flashes, as the controller of synchronous trigger studio flash of cameras,stand hot shoe mount. 2.4G wireless control,300m remote control distance,10 Groups and 16 Channels independently adjustable.Low voltage working make sure that high level of safety and no damage to camera. Sensitive reaction speed,The highest synchronous speed can reach 1/250s for Canon, 1/320s for Nikon, 1/250s for Sony. 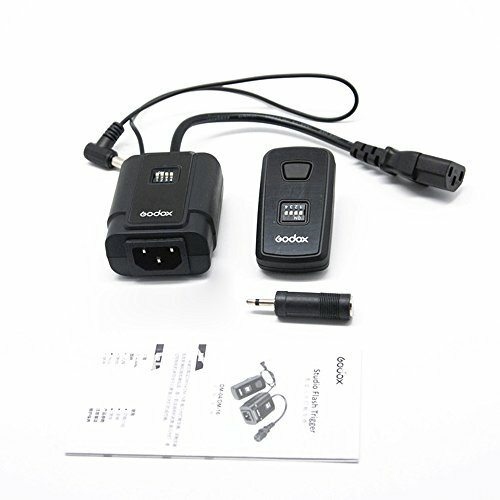 Specifications: Model: Godox DM-16 Channel: 16 Transmit Frequency: 433MHz wireless remote system Transmitter Power: 12V 23A lithium-ion battery Receiver Power: AC: 100-240V; 50/60Hz PC Cord Jack: 6.35mm / 3.5mm Outdoor Operation Distance: 30m (Open space) Indoor Operation Distance: 20m (Open space) Synchronizing Speed: 1/200s Transmitter Dimension: 7.2 * 4 * 3.3cm Receiver Dimension: 7.2 * 5.9 * 3.4cm Package Size: 8.5 * 4.2 * 25.5cm / 3.3 * 1.7 * 10in Package Weight: Approx. 217g / 7.7oz Package List: 1 * Transmitter 1 * Receiver 1 * Convert Adapter 1 * User Manual(English) User Guide: 1. Attach the transmitter onto your camera hot shoe; 2. Plug the receiver's cable terminals into flash strobe power socket & AC power socket seperately; 3. Set the same channels; 4. Turn on the power for instant using. Wireless remote control system, convenient to operate, ultra-low voltage, battery saver. The transmitter is equipped with and advanced electric circuit. Circuit design with sleepy function, low power consumption. The receiver is used with altermating current, and it achives quick response under the advanced MCU control. It can meet the need of sync flash for any different shutter camera. 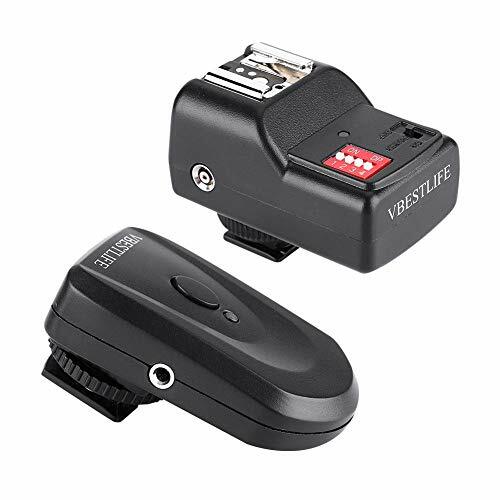 V BESTLIFE 16 Channel Wireless Flash Trigger Set, Remote FM Flash Speedlite Radio Trigger for Nikon, Canon, Pentax, Olympus, Sigma, Yongnuo, Sunpak etc. Not suitable for Sony because of its special hot shoe. 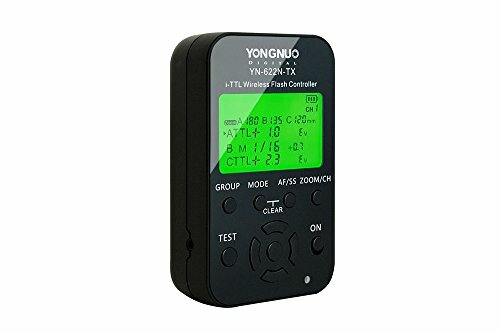 This flash trigger does not support TTL. This set includes 1 transmitter, 1 receiver and 1 sync wire cable. Features 433MHz frequency and 16 independent channels. With transmission distance up to 30 meters, it boasts strong anti-interference ability, no direction or angle limit. Universal hot shoe. Suitable for Canon, Nikon, Olympus, Pentax and other flash units with universal hot shoe. The receiver trigger is powered by dry batteries, enjoying a maximum synchronous speed of up to 1/250 seconds.